ATLANTIC CITY, New Jersey (WABC) -- A Hoboken city councilman topped five other candidates in the race to succeed Mayor Dawn Zimmer, who decided not to seek a third term in office. 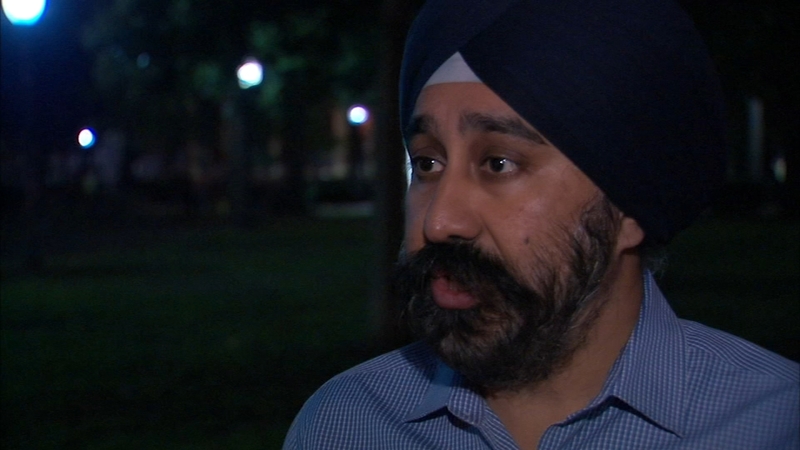 Ravi Bhalla will become Hoboken's first Sikh mayor after being targeted by racist flyers. Bhalla had been the subject of anonymously distributed flyers that labeled him a terrorist. The flyers featured a picture of Bhalla with the message "Don't let TERRORISM take over our Town!" "I did my own dry cleaning this morning, so nothing's changed," he said at the Hoboken train station Wednesday morning. Downplaying his narrow victory, Bhalla celebrated with Governor-elect Phil Murphy by greeting voters on their way to work. "A lot of good energy this morning," he said. "Very humbled by the outpouring of support." The race got ugly in its final days, with the distribution of the flyers. The Indian-American politician called them troubling in a Twitter post but said "we won't let hate win." "I think that was outside the pale," he said. "But you know, maybe it made people realize that this type of stuff really happens in the real world, and we need to send a message." And voters sent that message. "I think it definitely made more people come out to the polls," Hoboken resident Tara Simonelli said. "That is not what Hoboken's about, and I was upset to see that going on in our town." One of Bhalla's opponents, fellow Councilman Michael Defusco, said the racist flyers didn't come from him. Police are investigating. "I think people were able to see through that and vote for the right candidate," voter Lee Ballin said.